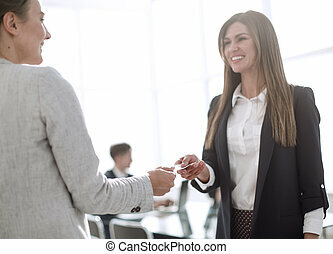 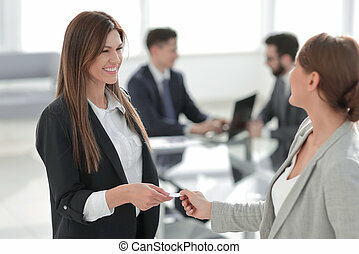 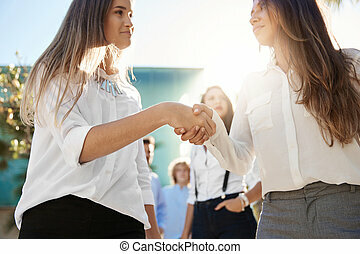 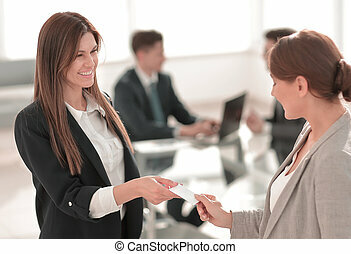 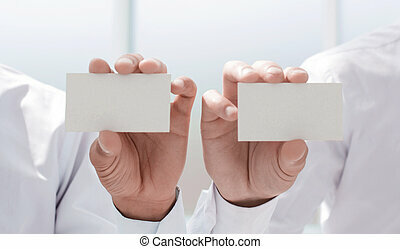 Two successful businesswomen exchange their business cards .photo with text space. 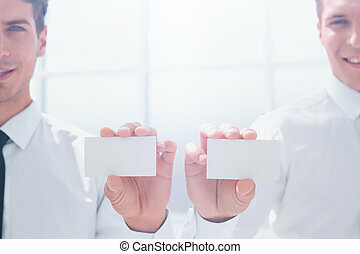 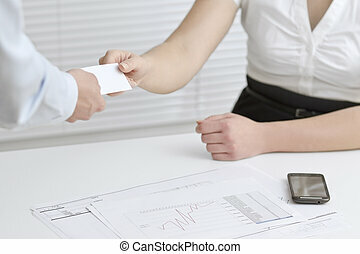 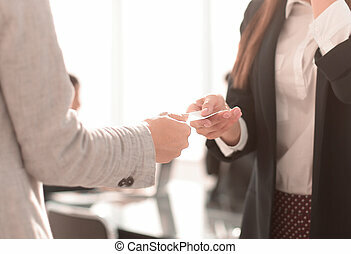 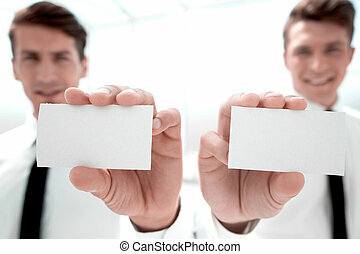 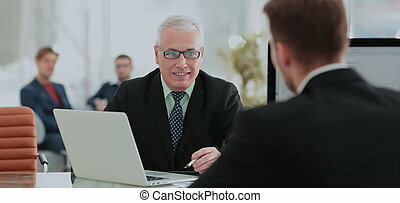 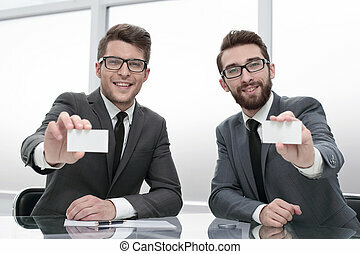 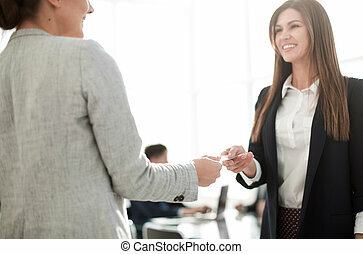 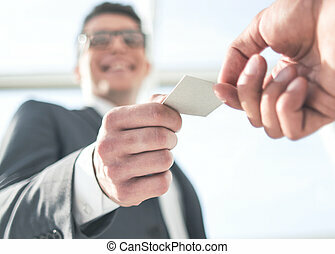 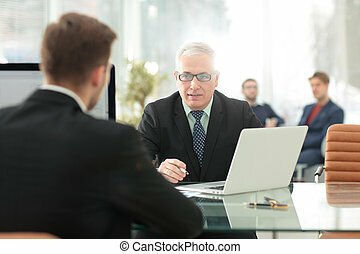 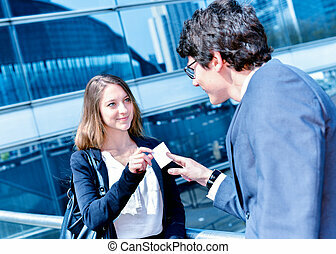 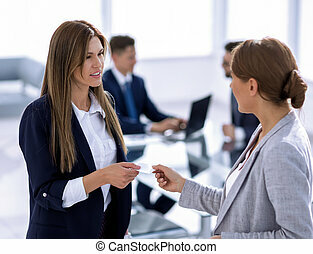 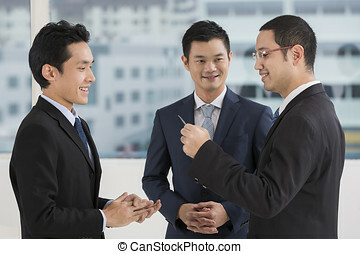 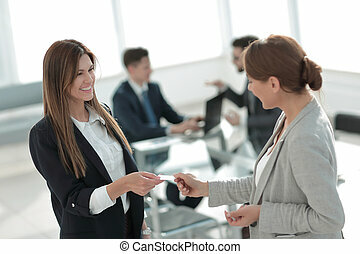 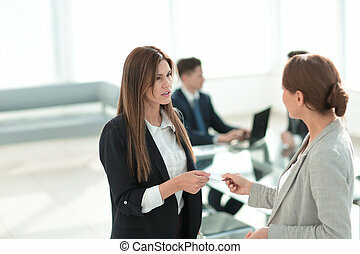 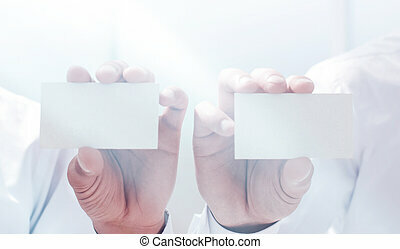 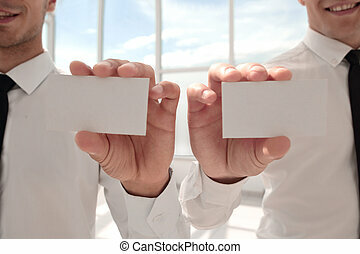 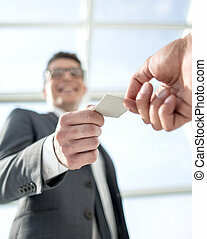 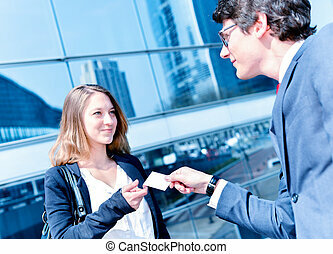 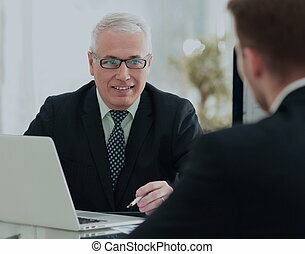 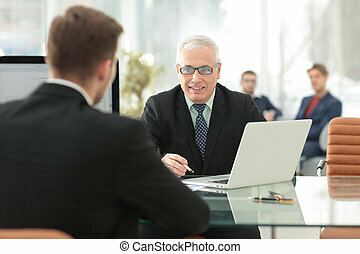 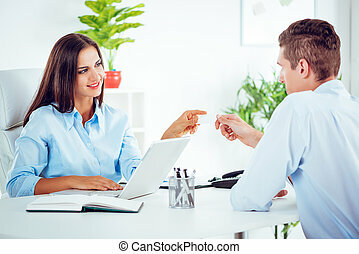 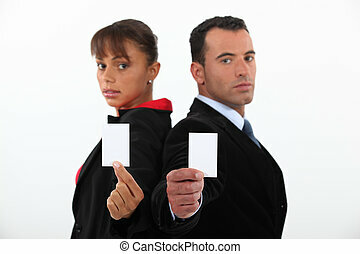 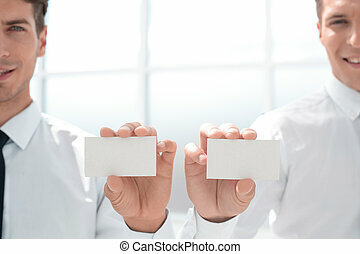 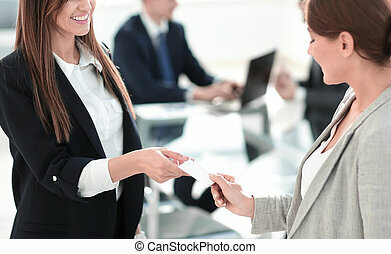 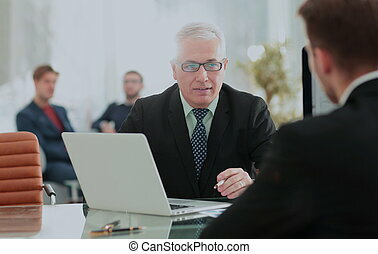 A businesswoman and a businessman swap businesscard in a meeting. 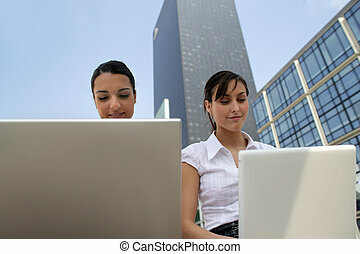 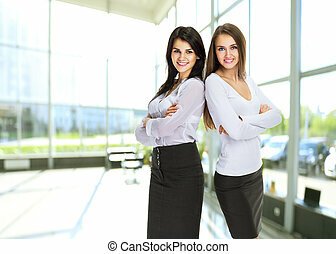 Two young, attractive successful business woman stand with their backs to each other. 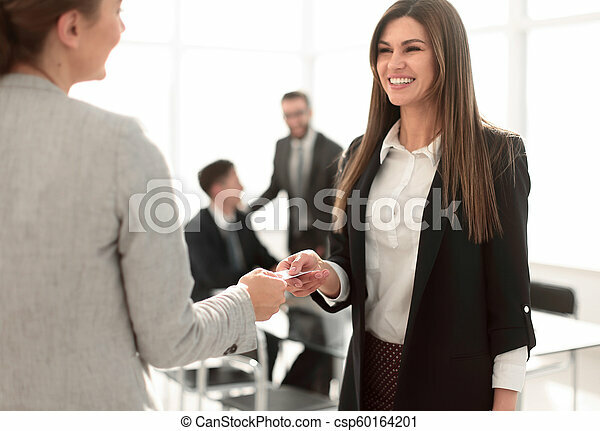 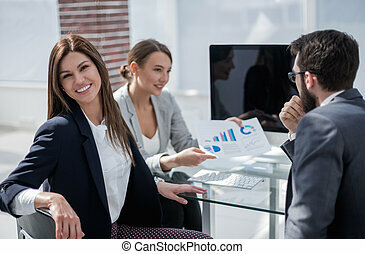 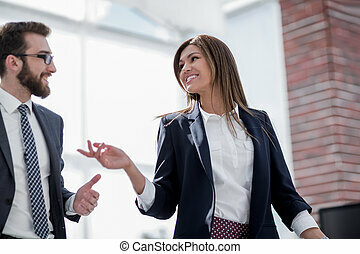 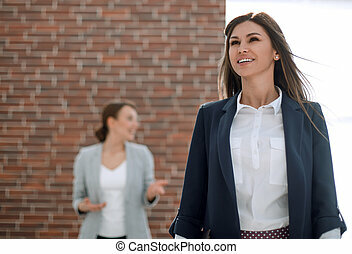 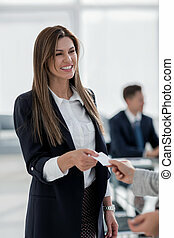 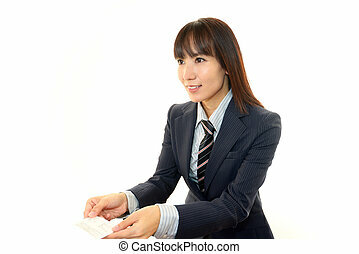 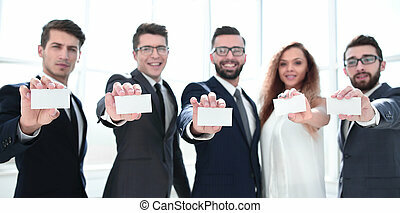 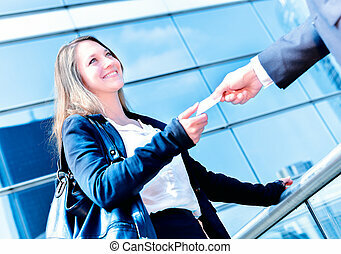 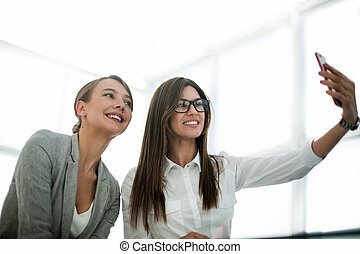 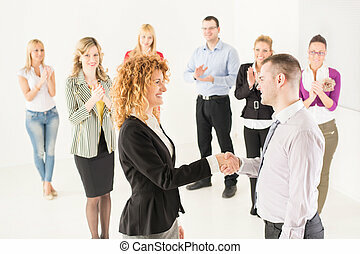 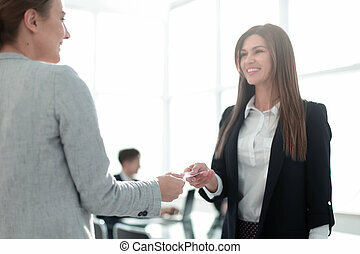 Happy successful businesswoman holding blank card with male colleague in the office. 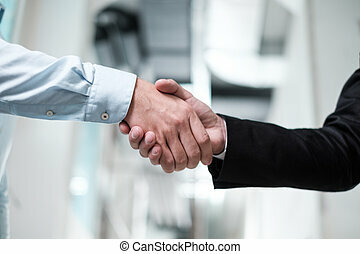 Two successful business people shaking hands at the meeting. 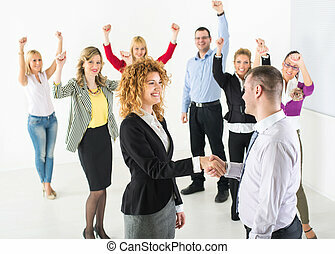 Group their colleague celebrating in the background.